An estimated 37,764 new and resale houses and condos sold statewide last month. That was up 31.5 percent from 28,719 in February, and up 0.8 percent from 37,481 sales in March 2012, according to San Diego-based DataQuick. It’s normal for sales to shoot up between February and March. 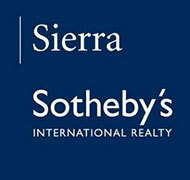 California March sales have varied from a low of 24,565 in 2008 to a high of 68,848 in 2005. Last month’s sales were 13.5 percent below the average of 43,648 sales for all the months of March since 1988, when DataQuick’s statistics begin. The median price paid for a home in California last month was $313,000, up 8.3 percent from $289,000 in February and up 24.7 percent from $251,000 in March 2012. March was the 13th consecutive month in which the state’s median sale price rose year-over-year. In March/April/May 2007 the median peaked at $484,000. The post-peak trough was $221,000 in April 2009. Of the existing homes sold last month, 15.2 percent were properties that had been foreclosed on during the past year – the lowest level since foreclosure resales were 12.6 percent of the resale market in September 2007. Last month’s figure compares with 18.0 percent in February and 32.8 percent a year earlier. Foreclosure resales peaked at 58.8 percent in February 2009. Short sales – transactions where the sale price fell short of what was owed on the property – made up an estimated 21.5 percent of the homes that resold last month. That was down from an estimated 22.4 percent the month before and 24.5 percent a year earlier. The typical mortgage payment that home buyers committed themselves to paying last month was $1,134. That was up from $1,042 in January and up from $901 a year earlier. Adjusted for inflation, last month’s typical payment was 50.6 percent below the 1989 peak of the prior real estate cycle, and 59.9 percent below the 2006 peak of the current cycle. Indicators of market distress continue to decline. Foreclosure activity remains well below year-ago and peak levels reached several years ago. Financing with multiple mortgages is low, while down payment sizes are stable, DataQuick reported.